Meet Linus Leow, our Career Advisor! Career Services provides students with support in their career and employment search. Looking for support with building your resume, cover letter, interview and networking skills? 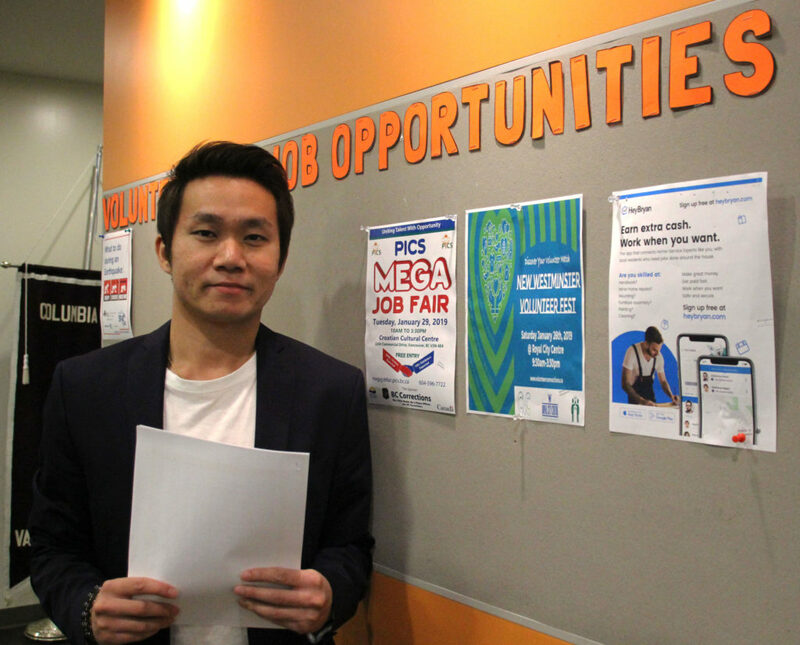 Come visit Career Advisor, Linus Leow, in Room 220 in Student Services! We recently had a chance to sit down with Linus to chat about his work at Columbia College, how he can help students succeed in their careers and professional lives, and what advice he has to give on skill building and navigating the job market. Check out the interview below! What is your role at the College and where can students find you? I am the Career Advisor at Columbia College. I can be found working out of Student Services in Room 220. What is one fact about yourself that you think students would be surprised to know? I box. You can find me training at North Burnaby Boxing Club on weekday evenings. What is your favourite or most important career advice you’d like to share? Life is dynamic and susceptible to change in an instant. We must learn to adapt to changes in our career and life plans. Is there a common misconception or myth about careers or job searching that you want students to know about? Students often focus entirely on the academic nature of things when they are pursuing an education. That’s completely understandable but employers also put a strong emphasis on “soft skills” when searching for potential employees. Hard and technical skills can be taught and trained but possessing a variety of soft skills is also sought after by employers. Soft skills include creative thinking, decision making, conflict resolution, etc. So don’t forget to develop soft skills to increase your employability! Where can students find the latest job and volunteer opportunities at the college? Do you recommend other tools, organizations, or resources they should check out in Vancouver? Check out the Career Services page on the Columbia College website for the latest job and volunteer opportunities around the Lower Mainland. I will start filling up the job & volunteer board with postings as well. I highly recommend building a larger professional and social network as these could benefit your future career. Often times, finding a job is not so much about what you know but about WHO you know. Where can students get support for writing resumes and cover letters? Students can visit me in Student Services from Tuesday to Saturday to get support in building their resume and cover letters. I will also be facilitating career and employment-themed workshops in the near future so I hope all students in need of assistance can join the workshops! I am really looking forward to working with students at Columbia College. I was a student as well not too long ago so I am excited to support students in their career and job search in my role as a Career Advisor.